"Harry Potter & the Deathly Hallows"
We had, of course, just gone all the way to New York to celebrate the 50th anniversary of Shirley and Joe last month. We spent an evening at their party and a day at their house the next day. So it was a huge surprise when the phone rang the other day and it was Shirley, in Davis, wanting to know if we could get together. "You're in DAVIS? You never mentioned coming to Davis when I saw you two weeks ago!" And she hadn't. In all the surprise and confusion of the anniversary weekend, it just slipped her mind, since the plans for the trip had been made such a long time ago, long before she knew there would be a party in her honor in New York. Shirley is one of those people that I know from several places. I think I first met her when Jeri and her daughter Diane became good friends in second grade. I'm sure I knew her through classroom and PTA activities. 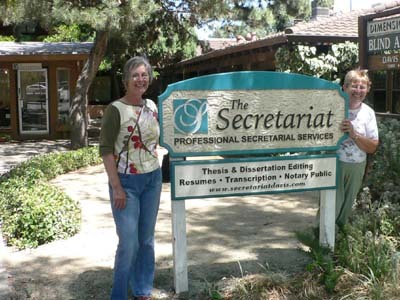 When I went to work for The Secretariat, a typing service, Shirley was another of the at-home typists and our paths crossed there as well. Out of the Secretariat group grew an International dinner group and a weekly bridge group, the one time in my life when I actually played bridge. Shirley and I are also members of that club nobody wants to join -- she and Joe lost their oldest daughter several years ago too. The prospect of an afternoon with Shirley was delightful and I suggested we also invite Roberta, who was also part of our Secretariat group, and also the international dinner group and the bridge group. I can't remember the last time I had the chance to have a "girls afternoon," other than the (yearly? twice yearly?) coffees with Joan and Nancy. Most of the Davis friends who were "let's go to lunch" friends are no longer in town and I sorely miss the female companionship. We went to a Thai restaurant where we could linger over our lunch. Shirley brought the photograph album of their anniversary party to show us. She mentioned how much Davis had grown since she left here, in about 1997. So, when we left the restaurant, we drove around town looking at all the new stuff. We also stopped at our old haunt, The Secretariat, now under new management for about the past 10 years, and stopped in to see the new owner, who was a friend of Shirley's. Strange to be in that office with computers, of all things. We didn't have computers! When I dropped Shirley and Roberta back at their respective houses, I was on such a high. I hadn't had such a good afternoon in a very long time. We had major trauma around here today. I hadn't noticed that Sheila's food bowl wasn't completely empty when I got the puppies up for lunch (though the big dogs had been fed hours before). I was in the kitchen starting to get their lunch ready and all of a sudden there was a blood-curdling scream and I saw Walt holding Tattoo, who was screaming and screaming and screaming. Apparently she had gone to investigate the food bowl and Lizzie had snapped at her. She was bleeding very, very lightly from her upper lip. But you'd have thought we chopped off her foot. She cried and shrieked and cried and shrieked. I took her in my lap and talked to her and held her close and rocked her and she finally started to calm down. Poor little thing was terrified. A good friend of mine was driving home from work one night when a young dog ran across the street in front of her. She slammed on her brakes and got out to see if the pup was okay -- he was shivering in fear. She scooped him up and took him home. He was a purebred pit who had been used as a bait dog -- the "trainers" would cut his ears to make them bleed so the the other dogs would pick up the scent of blood. This pup's ears were practically gone. My friend rescued him and now he's as gentle and friendly as he can be. I hope Vick gets the harshest sentence possible. I tried to imagine cutting Tattoo's ears deliberately and what terror she would have suffered. It made me shudder, and I held the scared little puppy even closer.